I have been to Singapore two times now (for business) and from what I’ve seen, it is one of my favourite places in the world. 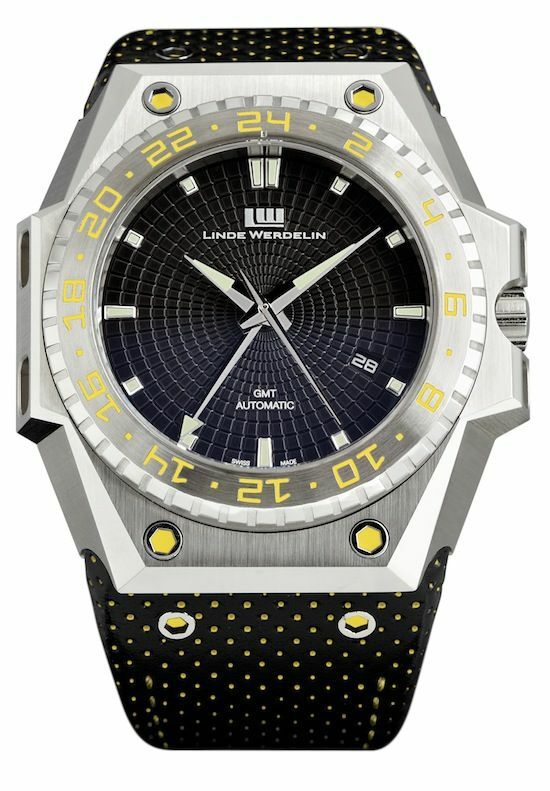 Linde Werdelin, also a favourite of mine, now introduces the 3-Timer Racing time piece. A limited edition in close collaboration with E’Collezione (their website is really worth checking out), a watch retailer from Singapore (located in the Mandarin Gallery on Orchard Road), that is based on the ‘regular’ 3-Timer model. What’s so limited about it? Well, for starters, the colours. It will be available in red and yellow and only 9 (!!) pieces each. As you can see, the colours are everywhere except on the dial. 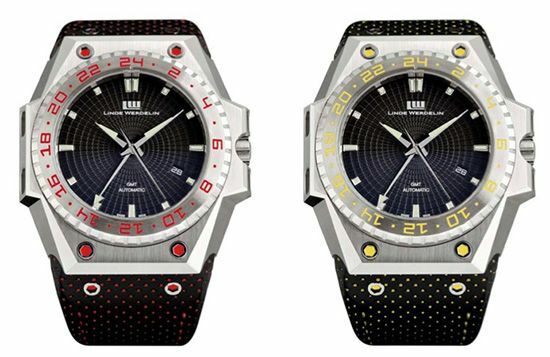 The bezel numerals (with special designed Linde Werdelin font) are in yellow or red, the bolts in both the case and strap and the strap itself has red or yellow stitching and dots. The 3-Timer Racing time piece also has the word ‘Racing’ engraved in the stainless steel case back. All other characteristics of the watch correspond with the normal 3-Timer models, of which I am the proud owner as well (as you can read here, for a more in depth review). The 3-Timer is a watch that is always in my weekly rotation programme of watches and although the dimensions (46 mm x 49 mm) of the watch are impressive, so is the comfort when wearing it. Price of these 18 beauties? SGD10,800 or €5,280 each! Update: PuristsPro is fortunate enough to have a lot of live pictures of these beauties. Click here to see them!